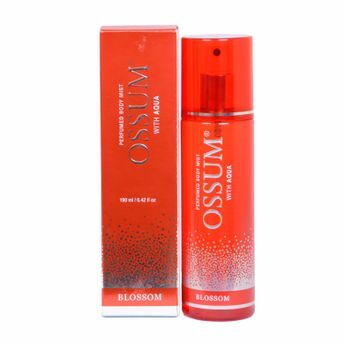 Feminine, sensual and fresh - The Fogg Ossum Body Mist - Blossom is a recently launched range of body mists for women that will awaken your skin with a floral fragrance. Its mesmerizing floral fragrance will make you feel happy, confident and motivated. About the Brand: Among the top selling deodorant brands in India, Fogg deodorants by Vini Cosmetics Private Limited, is known for it's 'No Gas, Only Perfume' long lasting, invigorating and pleasant fragrances and body sprays that help you stay cool, confident and fresh throughout the day's activities. Explore the entire range of Body Mist/Spray available on Nykaa. Shop more Fogg products here.You can browse through the complete world of Fogg Body Mist/Spray .